When I launched my first version of my vgpiano page I wanted to have one good version of this song since at the time I had so many floating around. So I sat down and recorded what to be honest I still don’t think captures what I was trying to do but until I revisit this song (which I doubt I will for quite a while as this game has other good un-covered tracks) this will have to do. I was not vey pleased with my previous version of kraid’s theme so I tried to capture a more technical version. I was much happier with this version but still felt it was missing something, some of the feeling of terror that you can feel in the OST. After seeing how much my first kraid arrangement was appreciated I decided to work on some more Metroid tracks. I don’t really like how this one turned out but I have had many emails requesting it so I’m putting it up here. 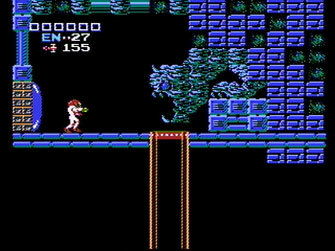 It starts with the intro, then moves to ridley’s and then once again to kraid. While camping in northern ontario I brought my laptop along with me mainly to create journals of my time up north. 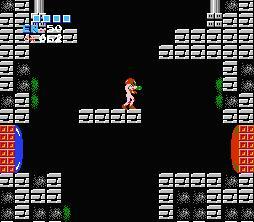 On some of the rainy days I loaded up metroid an played through a little. When I got to Kraid’s stage I just sat and listened to the music because I didn’t expect a song of this quality to be there. When you take the song apart the harmony and melody they are almost two different songs yet together it produces a classical sounding eerie peiece that once you learn is really fun to play.